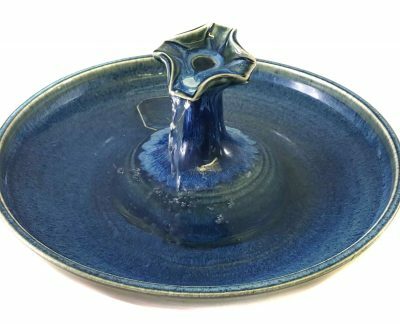 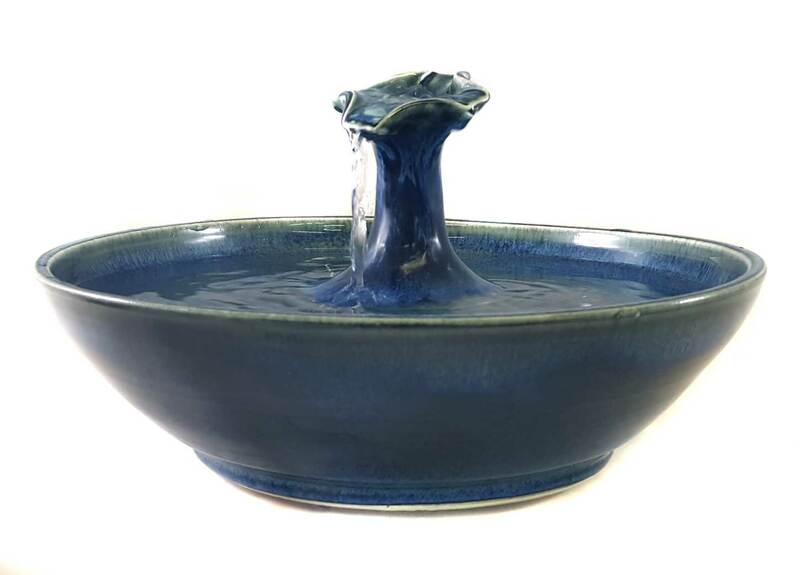 Cat fountain in a beautiful new glaze not yet named showing a rich blend of varied blues with pale highlights. Water fills the cross form and streams from the lip. 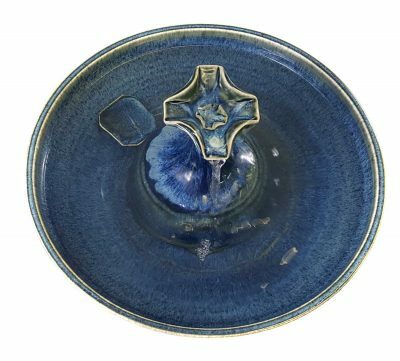 Your cats can drink from the cross, the streams and the bowl. 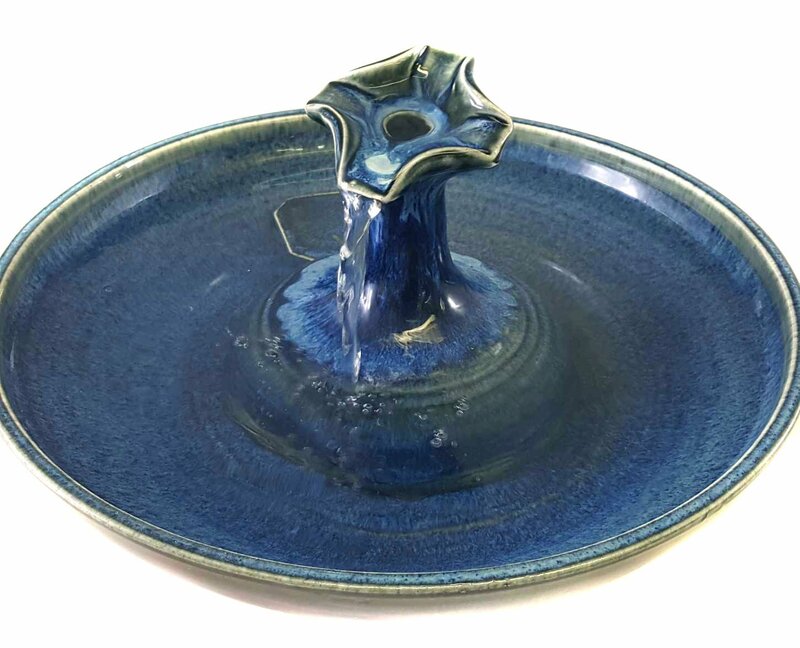 Use the ceramic insert for a more gentle flow or leave it out for more activity.